Our traditional Irish setting is nestled in the heart of Loughcrew’s Ancient Passage tombs. 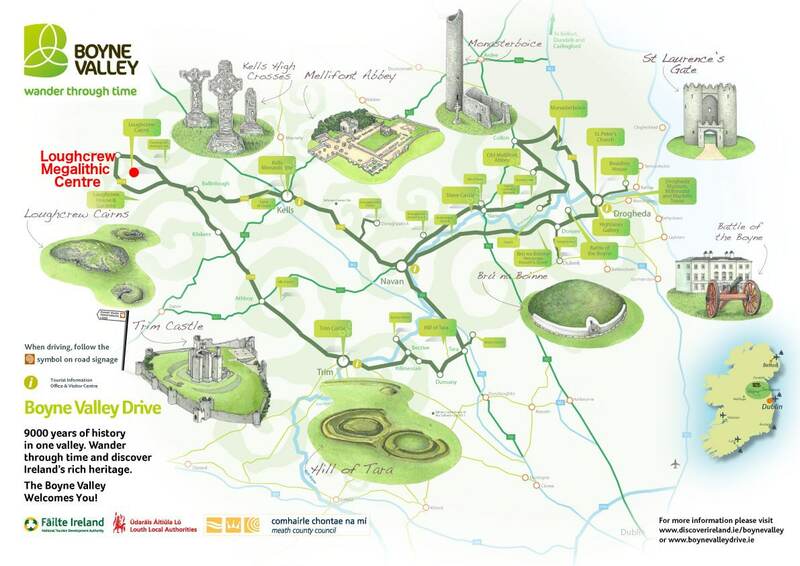 We provide tours, accommodation and information on Loughcrew and the surrounding area in Co. Meath. The ideal location to Discover Boyne Valley! Offering beautiful space for workshops, parties and events just one hour from Dublin. Our family friendly hostel and campsite is the perfect retreat from a hectic life. Loughcrew Megalithic Centre shared a post. Thanks a million Sarah we were going to call in for a tea but just arrived too late see you next time. A short walk from our centre will bring you to Loughcrew’s Ancient Passage Tombs. These tombs are over 5,000 years old which makes them older than Newgrange. Hear about the legend of the witch who is credited for these tombs, sit on her throne and take in the breath-taking scenery from the Royal County’s highest point. Upon entering the tomb you will see some amazing carvings all along the passage. Follow the path of the Equinox's sunlight to see the spectacular carved stone that the sun strikes twice a year. Look up at the corbeled roof that has kept this structure intact for thousands of year as you gaze at the mysterious art that our ancestors worked immensely to create. Return to the warmth of Nelly's Kitchen Café where you can sip on our Bewley’s coffee and a homemade scone. Our children’s playground is located beside the courtyard where you can relax while the children play.